Welcome the exciting new Saffiano Metallic silver collection to the much loved Saffiano Metallic family. 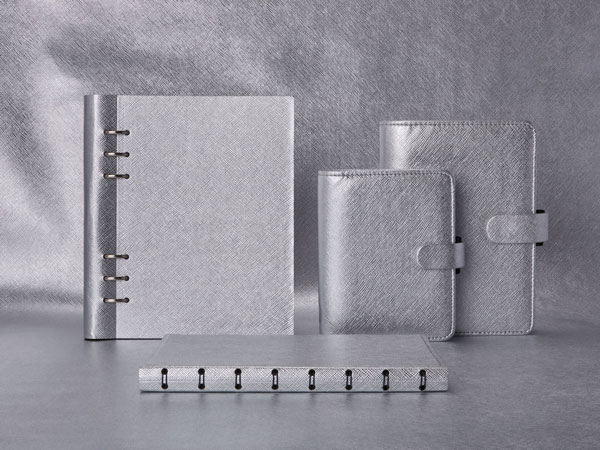 Saffiano Metallic Silver is available as an organizer, Clipbook and Filofax Notebook. Whether you’re inspired to bring the latest studio 54 trends from the catwalk onto your desk, or you just love cool silver tones, this gorgeous new collection is going to help you shine. The Saffiano Metallic silver planner has a cross grain metallic leather look and comes in pocket and personal size. Features of this metallic organizer include a notepad pocket, slip pocket, card pockets and a pen loop. Comes with a classic white fill with a week on two pages diary but can be customized with a range of inserts including colored notepaper, to-do lists, plain white paper and more. The Saffiano Metallic Silver Clipbook beautifully matches the silver rings to look like a gorgeous bar of silver. 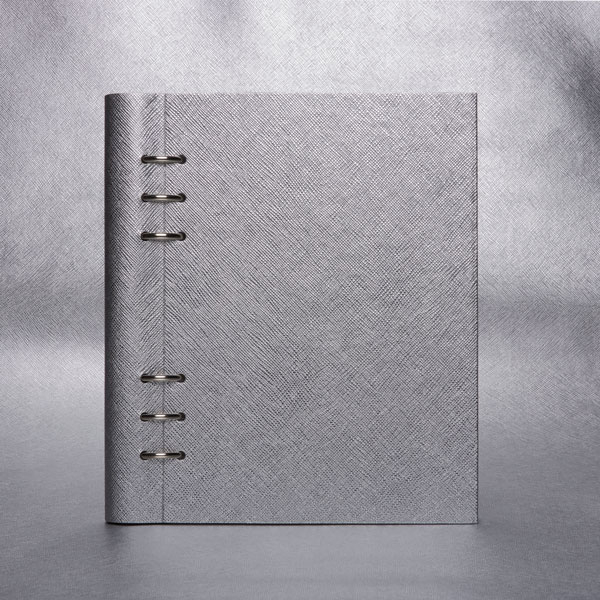 This metallic finish is continued to the inside cover and comes with a fill including, checklists, ruled, squared and plain paper and undated year, month and week diary pages. 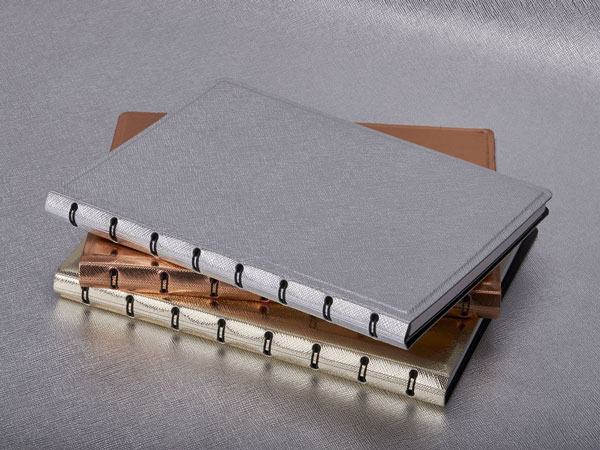 The metallic trio is completed with our Saffiano Metallic Silver Filofax Notebook. The gorgeous silver exterior is complimented by a contrasting black interior and black twin-wire binding. Filofax notebooks all come with removable and replaceable paper as standard. The Saffiano Metallic Silver Filofax Notebook comes in A5 size with classic lined paper, black 4 part index with a pocket and a ruler/page marker. To make sure you’re the first to hear about all things Filofax sign up to our newsletter below.